It’s a good start but two things need to be addressed or the model won’t work: money demand and the transmission of monetary policy. I insist the money multiplier cannot be part of any useful model. There needs to be a more honest look inside the “black box.” I suggest this is where the banking sector comes in and using net interest margins, loan demand, lending standards and liquidity to replace reserve ratios. The exchange rates impact on net exports could play here too. 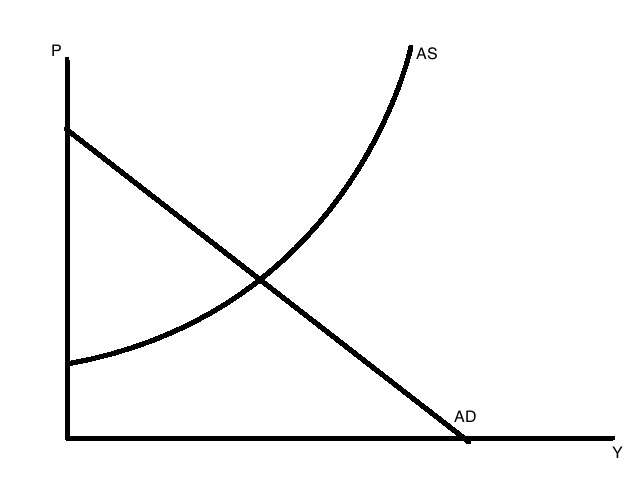 The money demand function needs to be disaggregated. People demand money in different forms for different reasons. It makes a difference if people are demanding currency, checkable deposits, or time deposits. I use a similar setup to do qualitative forecasting exercises in my Principles of Macro course. I’m interested to see how you take it to a more quantitative direction. What about things like input output models like those developed by Leontief? I’ve never seen any analysis on how well they perform in the real world but they seem both theoretically sound and highly applicable.